"I'm starting this crew… And I'd love for you to be in it." Shout Factory + Showtime have debuted a trailer for the film All Styles, a feature dance drama starring "So You Think You Can Dance: Season 10" winner Du-Shaunt "Fik-Shun" Stegall in his first major acting role. "Fik-Shun" plays a talented hip-hop dancer from Las Vegas named Brandon, who is heading off to college. He decides to put together a ragtag crew of dancers, featuring all different style (hence the title), to compete in a competition against his former friends. This also stars Keon Motakhaveri, Tetona Jackson, James Moses Black, Heather Morris, Erica Klein, Hokuto "Hok" Konishi, Taylor Pierce, and Raymond "Nasty Ray" Mora. This concept isn't that original, films like School of Rock have played on the "different styles" for a competition concept, but it does look fresh and fun. And it's obviously meant to inspire more people to follow their dreams of dancing. Struggling in his freshman year of college, Brandon tries to focus on his studies but keeps coming to the same conclusion: dance is his passion. His geeky roommate, Nate, proposes they start a dance crew, but their search for other freestyle dancers proves disastrous. So they expand their search, finding a break-dancer, a performance artist, a bhangra dancer, an animator, a ballerina, and a ballroom dancing mom willing to join the new crew. A national dance battle headlined by Brandon's previous crew, Levelz, provides the first opportunity for Brandon to prove to himself and his family that he and his crew have what it takes to make it as dancers. Can such a strange and disparate crew cut it in the highly competitive world of dance? Brandon is determined to find out! 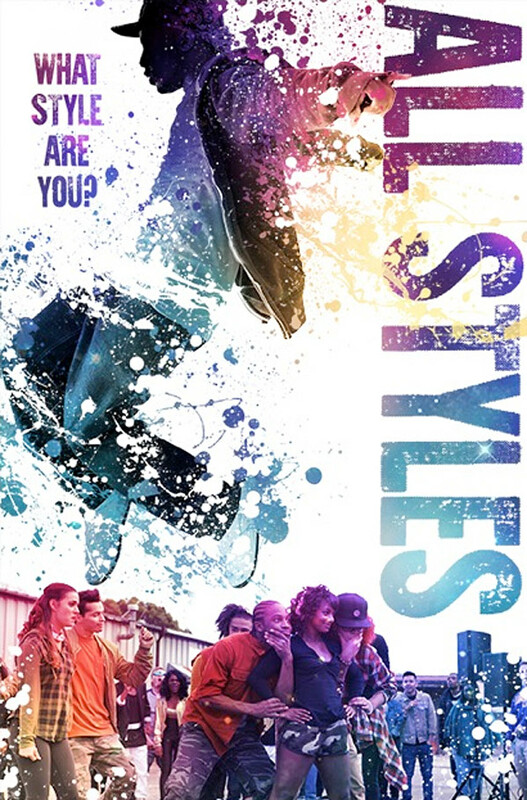 All Styles is directed by filmmaker Angela Tucker, a producer and director of the documentary (A)sexual previously, making her feature debut. The screenplay is written by Lauren Domino and Angela Tucker. The film is currently available to stream through Showtime, and will also be available on DVD/Blu-ray starting in September this year. Anyone interested in seing this?